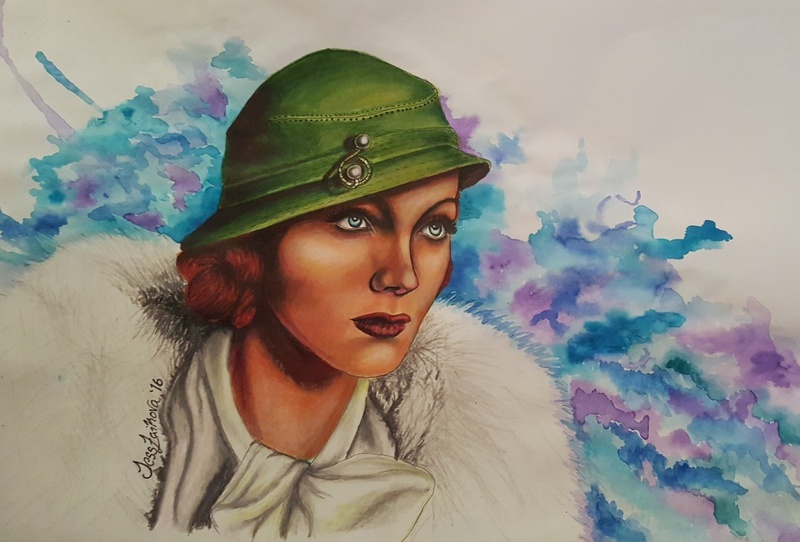 Mixed Media Drawing "Hell to Heaven"
Mixed media (watercolour, Copic markers, prismacolor coloured pencils, Marvy liner pens) A4 I based this drawing on a promotional photo of the actress Adrienne Ames. I was practicing my mixed media skills when it comes to laying down marker as the basis and going over it with coloured pencil. I like the effect, but need to work on my colour mixing.